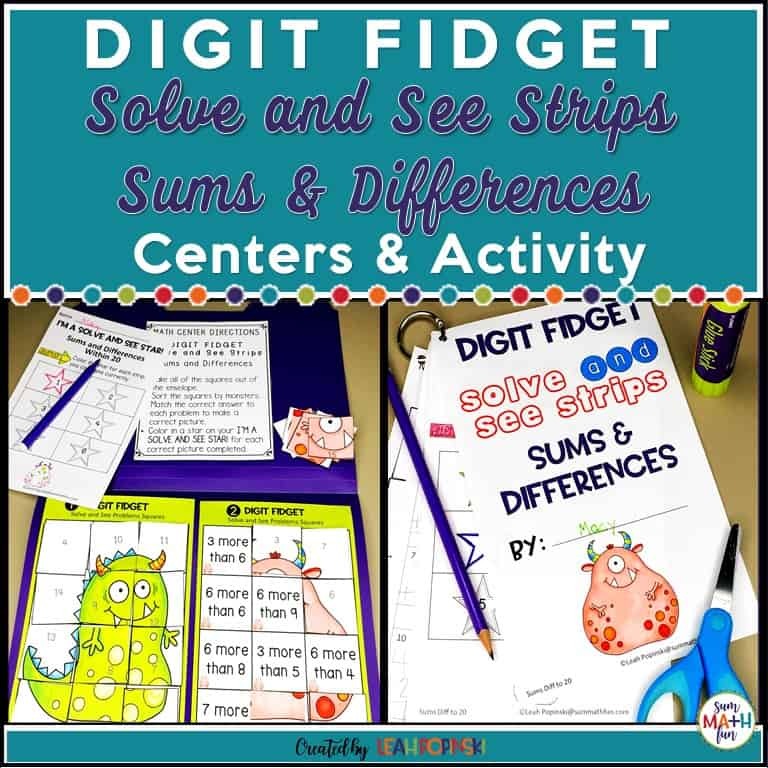 You will love these end-of-year math scavenger hunts! 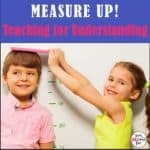 They will get your kids up and moving at the same time they are reviewing all the skills you’ve taught throughout the year. And…they are no prep for you. Just print – especially important at this time of year in the classroom. During the end-of-year, keeping kids engaged and learning can be quite a challenge even for experienced teachers. 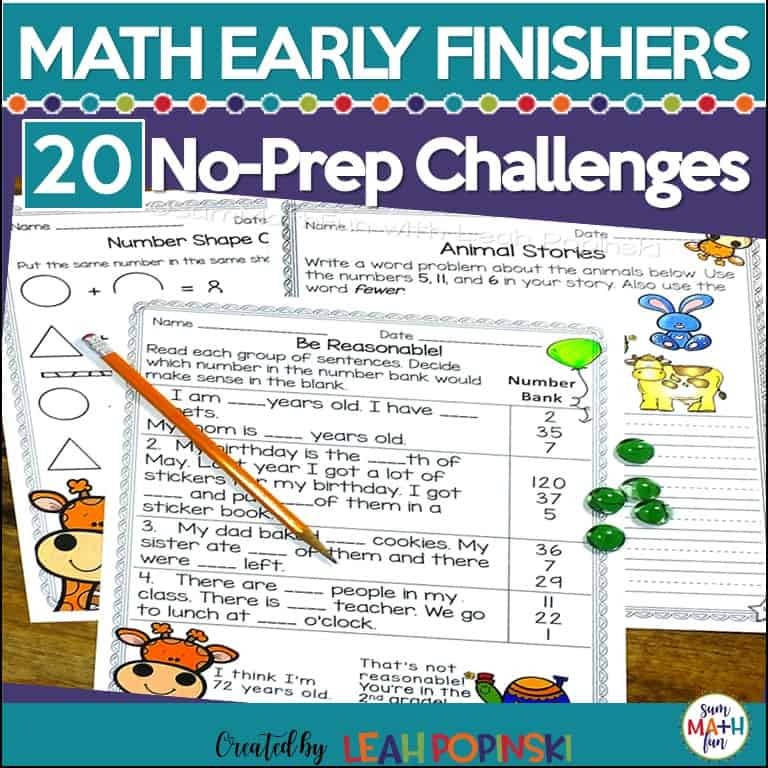 But this math scavenger hunt will keep them focused, thinking, and engaged – even at the end-of-the-year. The problems are super fun! 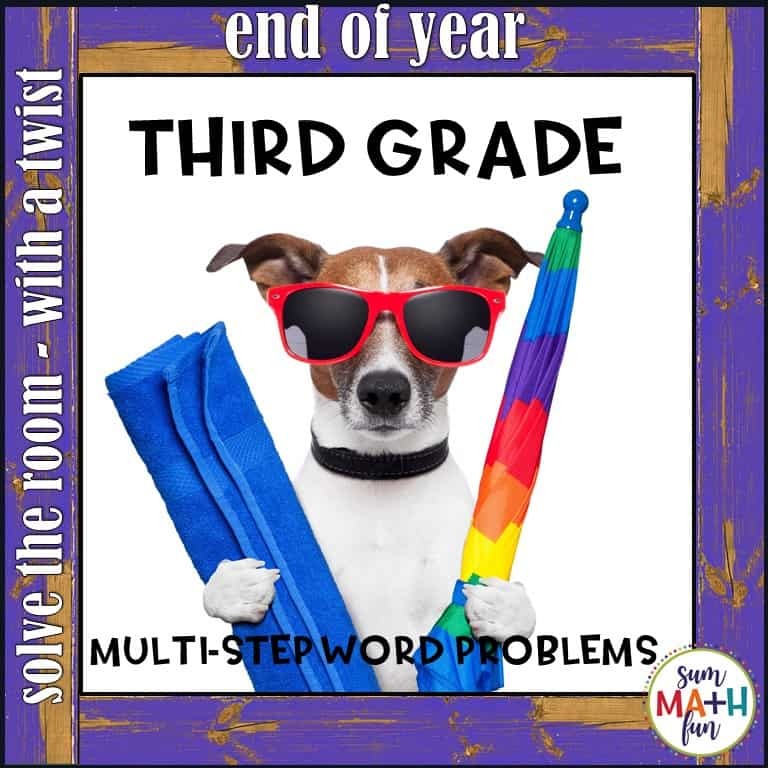 this end-of-year scavenger hunt will grab your kids’ attention and keep it! You may choose to have students work individually or with a partner. If you have students work with a partner, they can compare their answers and discuss any differences. 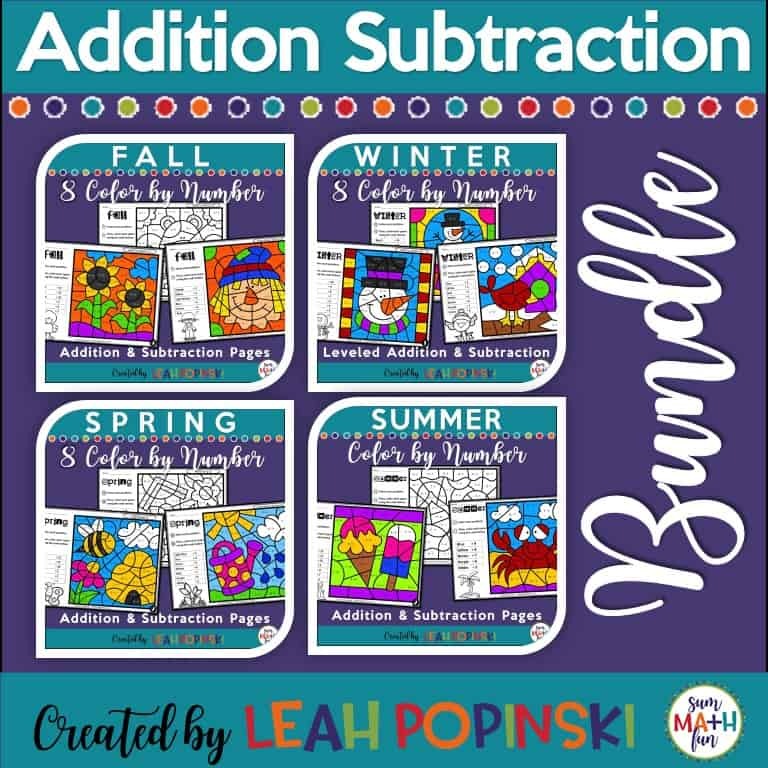 This will bring more math talk into the activity. Post the problems around the room or on student desks. Give pairs of students or individual students the recording sheet. They will also need something like a clipboard to write on and a pencil. 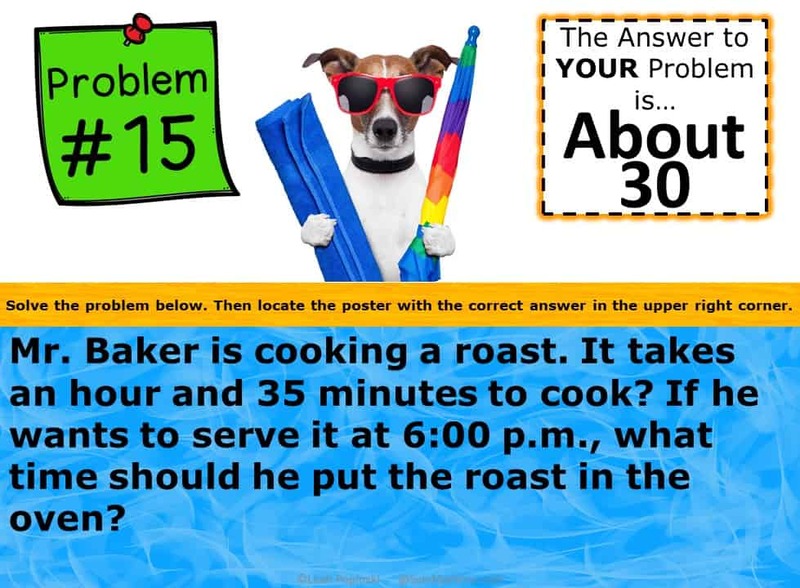 Students read the problem and find an answer. Next, they scan the other posted problems to find their answer in the upper right-hand box that says, “The Answer To YOUR Problem Is…”. 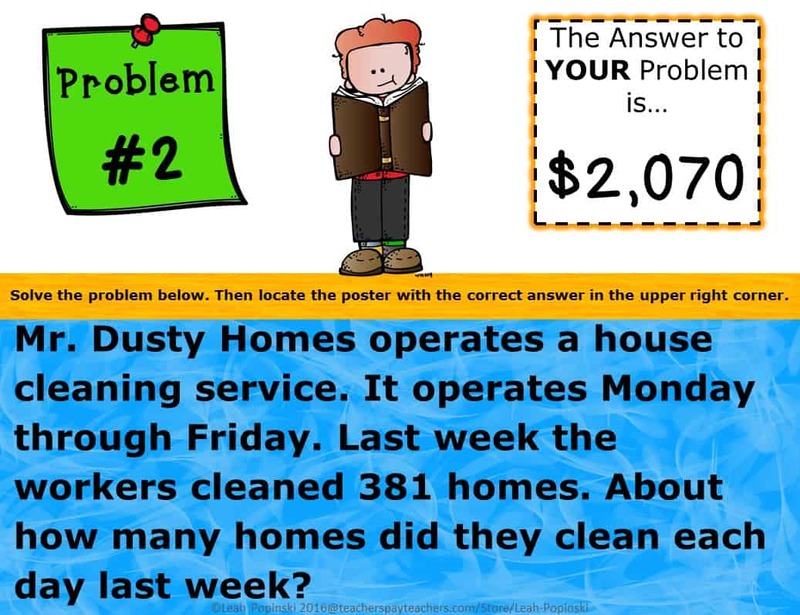 Students move to that problem, find the answer, and repeat the process until they have completed all of the end-of-year scavenger hunt math problems. If students can not find their answer on any of the other posted problems, then they know they have an error and will work to correct it so they know which posted problem to move to next. 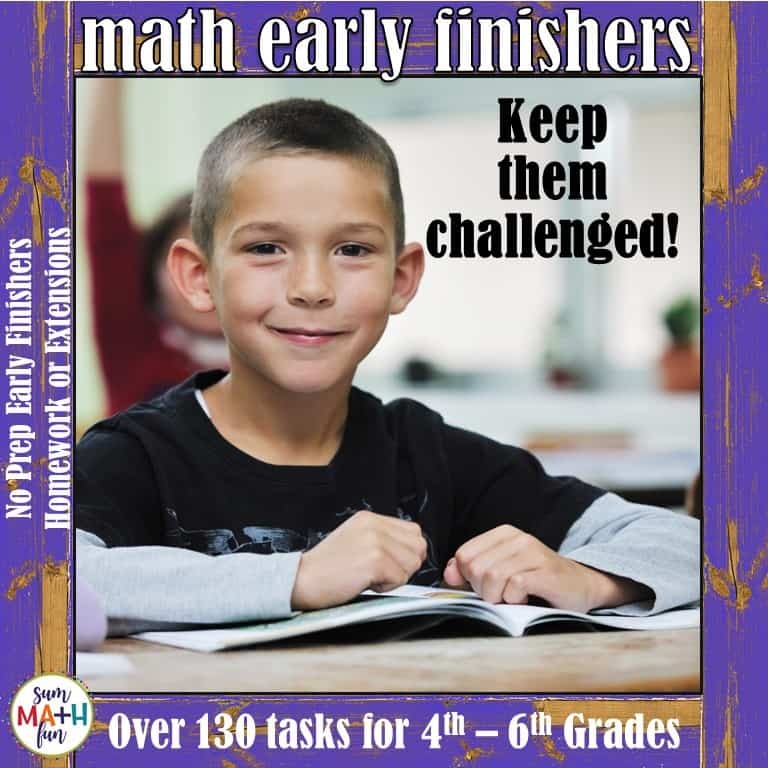 Even though there is an answer key included, there will be no need for you to spend valuable teacher-time checking student answers! 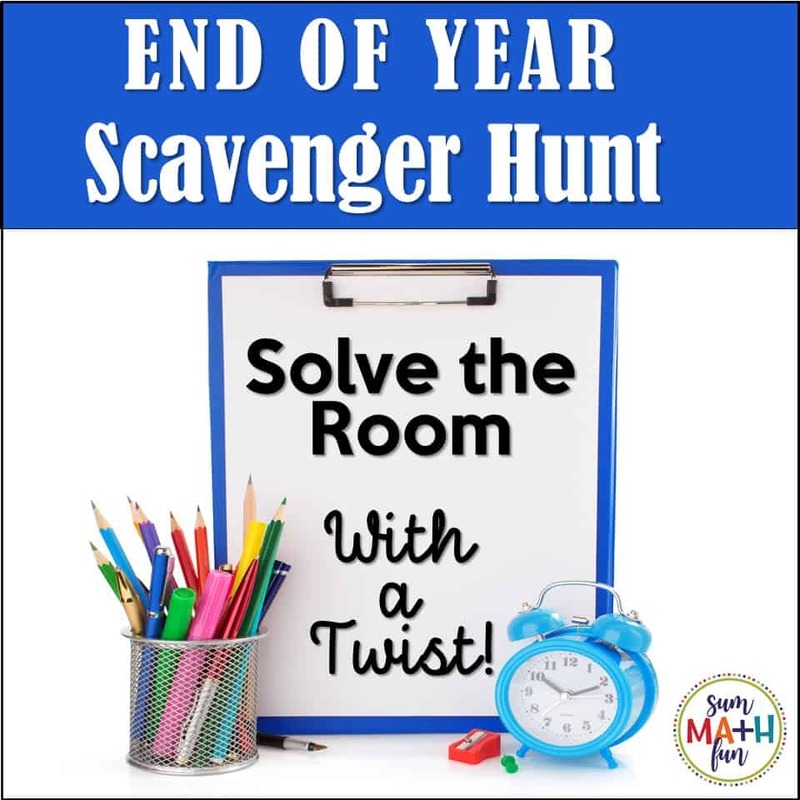 This end-of-year math scavenger hunt is like Solve the Room with a twist. 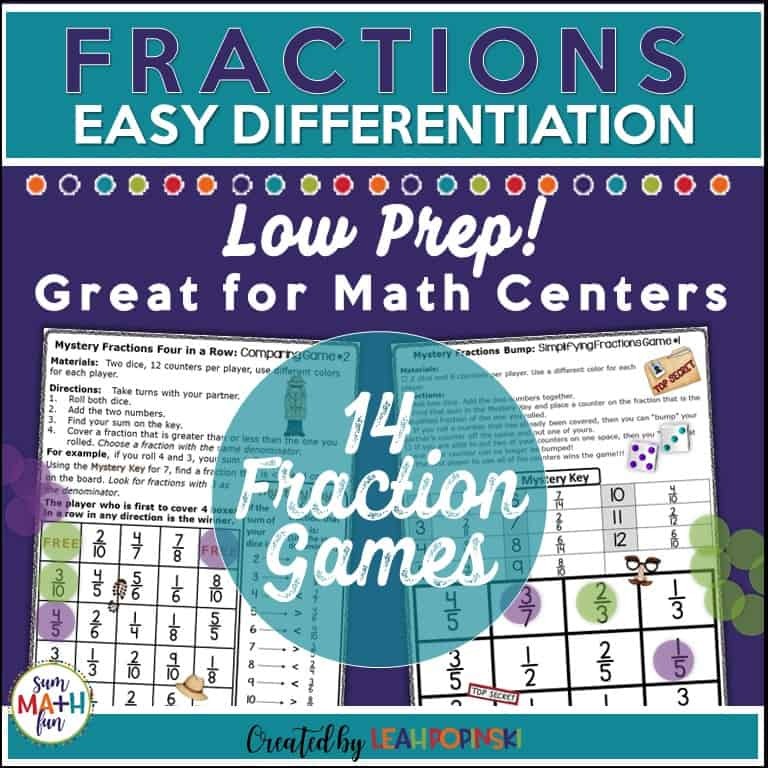 So-o-o much Fun and Learning! 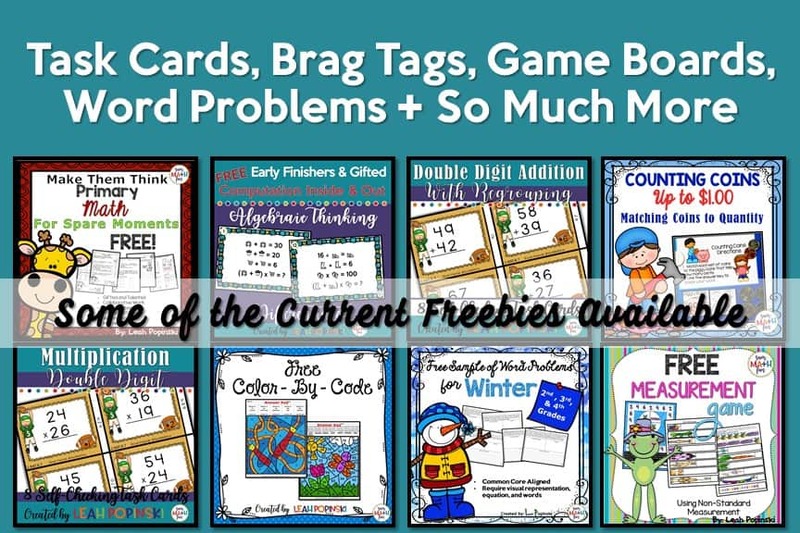 I do hope you’ll try out this FREE Version with 5 Scavenger Hunt Problems. 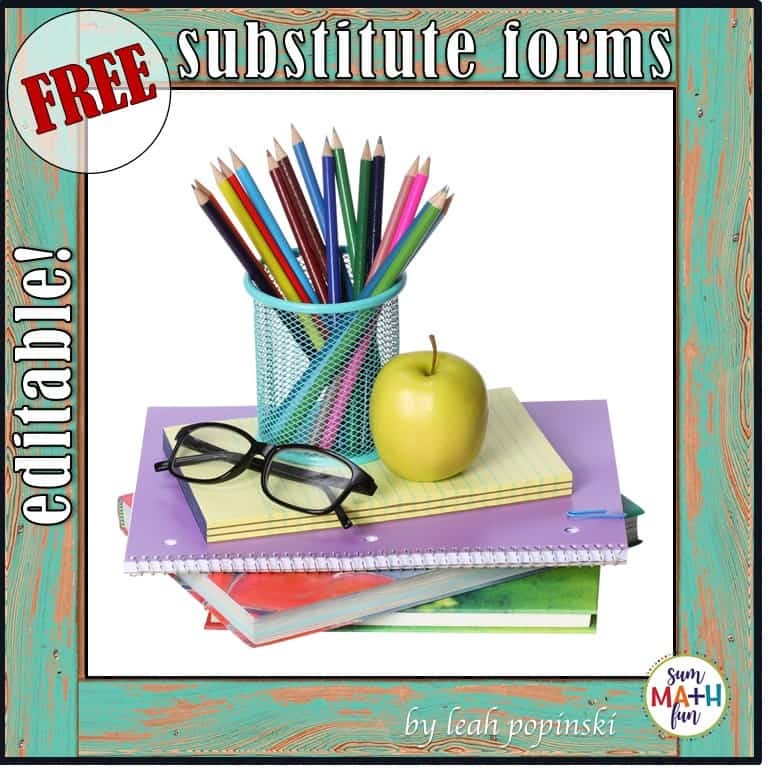 Just click the picture below to subscribe and download it from the Sum Math Fun Free Resource Library. Do you seem to always need more word problems? You can find more by clicking the links below. 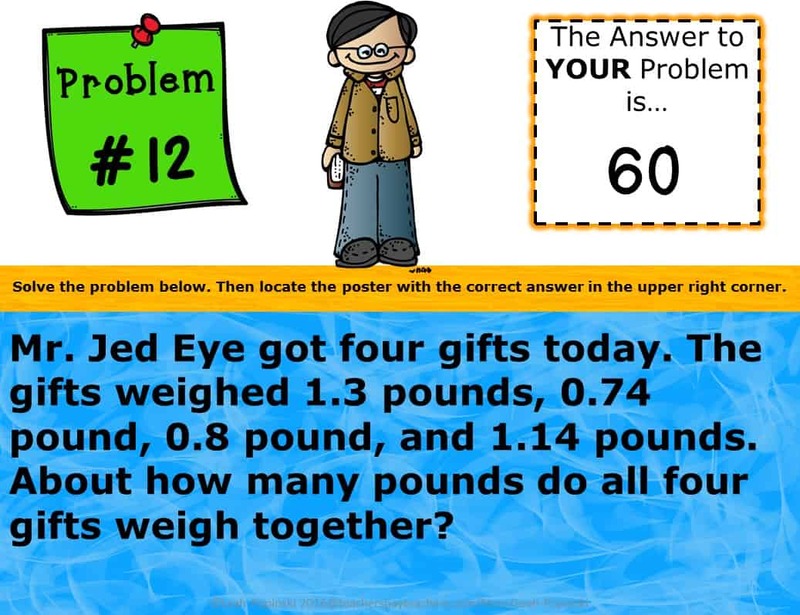 I also created another math scavenger hunt for Thanksgiving. You can find it HERE.